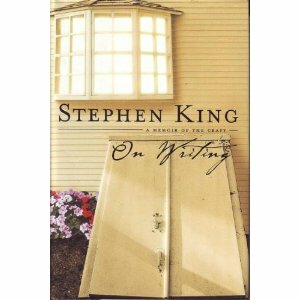 One of my favorite authors, Stephen King, recommends using the ”what if?” question to motivate your writing. I know other successful writers utilize this too, and I’ve used it occasionally, but not nearly enough. When Stephen suggested it in his book On Writing, I took it as an overall question for the main plot of the book, not as a scene by scene mission. Today I discovered it can be used paragraph by paragraph to move the story along, and I’m delighted. I’ve been able to crank out another chapter just by asking “what if?” as I go. What if he said this? leads to – How would the other character react? What if this happened? leads to – How does that effect the story… and move the plot? What if there was a man who could find dead people, and an autistic boy who could talk to them before they died? What would that conversation be like? What would he ask him to get him to talk? What would the boy be able to say that would be helpful? I then outlined some thoughts that answered those questions to help me figure out how the next scene will go. I haven’t finished that scene, but I now have direction. I’m not a fan of outlining as a rule, as I like my characters to take me where they want, but this is definitely helpful. It’s not as restrictive as an outline per se, but instead opens my imagination to possibilities. What if I were a writer?